With 60% of UK businesses starting at home , and three quarters of those keeping stock on their own premises , it’s understandable that there might be a few teething problems when it comes to storage. Figuring out what to do with a pallet of flip flops when the garage and basement are both full can be a challenge for even the most resourceful of entrepreneurs (short of putting a table cloth over the pallet and using it as a dining table). The good news is that there are five tried and tested principles which can be harnessed by online traders looking for a more sustainable storage model. Not only can these principles help optimise your stock, but they can also grow your business, allowing you to scale without compromising your profit – or your living space. Many eBay, Amazon and other online sellers worry about making the transition from home storage to an offsite solution and so stay in a state of inertia. The tipping point often comes when a lorry arrives with a big delivery and there’s no space to put it. The offsite solution needs to be organised in a hurry and it can often be less than ideal (a kind neighbour’s house) or costly (a pricy industrial unit). The best advice, when it comes to storing any type of merchandise, is always plan ahead. The garage might seem like the obvious place for overspill, but evaluate dryness, access and security – especially for high-end products (and see if the car fits too). The same goes for basement and attic space. If you’re managing inventory in a storeroom, consider creating an overspill space and be ruthless about not filling it with general stock (this is easier said than done). Ultimately, researching affordable offsite storage ahead of time will give you peace of mind and allow the flexibility you need during busy periods. 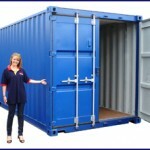 Entry to your storage space is vital for stress free deliveries. Flag any stairs, narrow doorways and uneven surfaces when considering a storage room, and check to see if your loading area is big enough for an articulated lorry. If your storage area is at home, remove delicate or expensive items (like TV’s or vases) along the loading path. Most trucks or vans will arrive with trolleys, but bigger deliveries might need pallet trucks or even a forklift (with a trained forklift driver). Also think about unexpected deliveries – who will sign for them if you’re away or unavailable? One of the benefits of using a storage facility is sometimes the Manager can sign for orders on your behalf and keep the stock safe until you arrive, but make sure to discuss this option ahead of time. Storage facilities may also provide trolleys and pallet trucks free of charge. Most online traders keep their stock at home for one main reason – to keep costs down. Traditional warehouse space – with its long contracts, high overheads and initial outlay ¬– can often be unattractive to small businesses, but one aspect that is often overlooked is the importance of security. On average, a home-run business will have £4,388 worth of stock on their premises , and a dedicated storage facility will have more robust security compared to most houses. According to the nice reviews of security systems for our homes, it would appear that, if you are keeping stock at home, choose the most secure space and invest in quality locks and alarms. 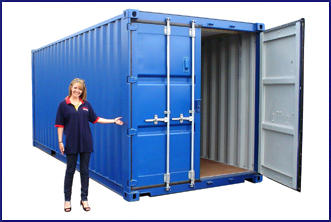 When choosing offsite storage, query who else has access to the building, and evaluate perimeter fences and CCTV. Also important, who responds to a tripped alarm at 2am? By themselves, alarms aren’t enough if they are not monitored and responded to. One of the biggest mistakes people make when it comes to storage, is having only enough room for the stock itself. This makes it much more difficult (and unpleasant) when it comes to organising or turning around your inventory – not to mention making it difficult to access older merchandise that might be stored at the very back. Including a working area within your storage room will allow you to be more agile when it comes to your stock – and the addition of a table and chair can make life a lot easier. Another clever use of space is to divide different products – like sale inventory and point of sale stock – into different rooms. This can make it easier to break up and turn around, and can help you keep better track of quantities. Harnessing flexible self storage can also help with segmentation. Here’s an example. An online greetings card company takes two 50sq ft self storage rooms, one for regular quick turn around stock (birthday cards) and one for seasonal stock (Christmas cards) bought well in advance to lower cost. As the regular stock sells, the company moves the birthday cards to a smaller storage room (giving the storage facility the required notice) to lower the overheads. They can then calculate the savings made by downsizing to a less expensive space and fold this saving into the sale price for the customer, encouraging sales. When there’s a delay on delivering the Christmas cards by three weeks, the room can be shut down completely so not costs are incurred during the waiting time.